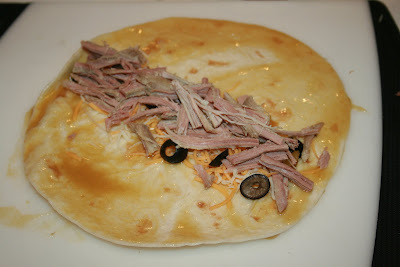 I know I mentioned enchiladas not too long ago in my post on Hawaiian Pork Roast, and even gave a rough listing of what goes in them. But, to save questions, I made them, documented it all, and decided to post it. I love Mexican food. Maybe you guessed so? This is going to sound silly, but it took me along time to figure out how to make them so we like them. Sure, Justin and I have eaten our fair share at various restaurants, but I never bothered to make them until maybe 5 years ago. I started out playing around with beef and red chile sauce, then chicken and pork, once I even used elk meat. Then I changed up the sauce from red to green, and I have even changed out the tortillas, corn for flour. Then I changed back and forth. Added something, took it out the next time. My recipes are always changing to accommodate something that catches our attention. 2. Pour green chile sauce into a pie dish. 3. Spray a 9"x13" baking pan with nonstick spray. 4. 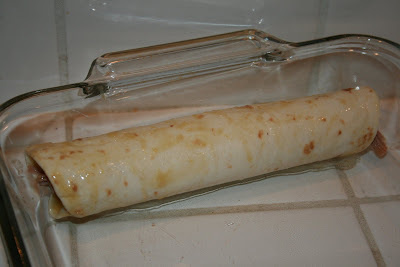 Working with one tortilla at a time, dip one into the green chile sauce so both sides are lightly coated. 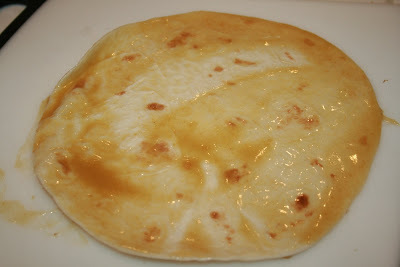 Place wet tortilla on a cutting board or working surface. 5. Layer filling ingredients in any order. I usually put them on in this order: diced chiles, olives, cheese, meat. 6. Roll it up. Be careful to roll it up snug enough. Don't let fillings fall out as you move it to the baking dish. Place with the seam down at the end. This will keep it from unrolling. 7. Repeat steps 4-6 for the remaining tortillas. 8. 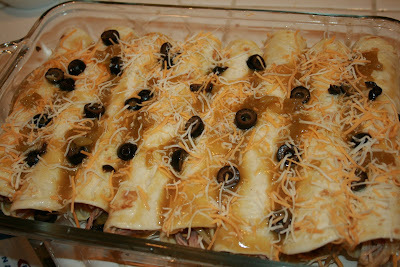 Pour remaining green sauce over the enchiladas in the pan. 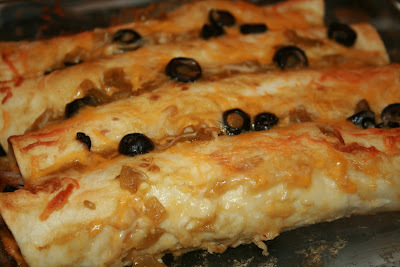 Sprinkle with leftover chiles, olives and cheese. 9. Bake about 25-30 minutes or until warmed through and cheese has melted. 10. 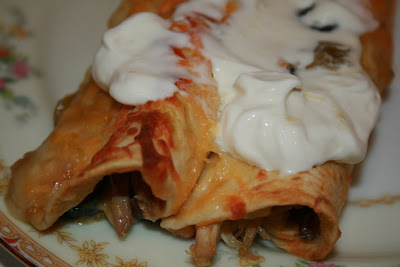 Serve with sour cream smothered on top.